Also, we do not have a price matching policy. We will not price match to a lower price. Condition: Grade A Condition (Little to no signs of wear or scratches). Part taken from a working computer. Does not include keyboard, touchpad. 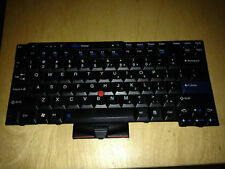 IBM ThinkPad X240 X240s X250 X260 Backlit Keyboard (IBM Original). Compatible Models : X240 X240s X250 X260 (Backlit). Condition : New System Pull ( Product has been removed from NEW-OEM surplus system that has never gone into service. ). Model : Lenovo ThinkPad X1 Series. IBM Lenovo ThinkPad X1 Series. Type : Hard Drive Caddy Cover. This fee will be collected upfront before work on the order begins. Form_Factor : Laptop. Sold in the USA. Used pull from defunct IBM ThinkPad 755CX system - attaches to slot on bottom of DSP card and will not function on machines without the DSP - also compatible with 755CE, 755CSE and 755CD. Genuine Samsung LTN141WD-L05 LCD Screen Display Laptop 14.1" 42T0456 42T0412. LENOVO T450S T440 T440S T440P T540P. Model :T460s. Compatible FRU # :00PA452, 00PA534. Tested Fully Functional Working Pull Keyboard. Part # : 01ER541 (Backlit). 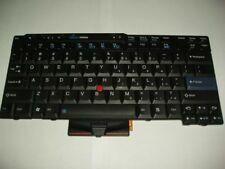 Lenovo Keyboard T570 FRU BOM; MT: 20H9, 20HA (IBM Original). Compatible Models: T570. NEW Keyboard for HP Zbook 15 G3 17 G3 backlit Pointer US 848311-001. Original backlit keyboard fit HP Zbook 15 G2 17 G2 With Pointer US. MPN: 04W3346 42T0763 LTN156KT04. Model: Lenovo ThinkPad W530. 1 IBM Lenovo ThinkPad W530 Complete LCD Screen. Type: LCD Screen. Form_Factor: Laptop. Also you will find all the parts that you may need for your computer, laptop from motherboards to power supplies. 0.2175(per one triad) x 0.2175. Thinkpad T42. Thinkpad R50. a-si TFT active matrix. IBM Fru #:92P6680. IBM Part #:92P6671. Screen Diagonal. 60 Typ., 120 Max. MPN: 93P5687. Model: Lenovo ThinkPad T420. 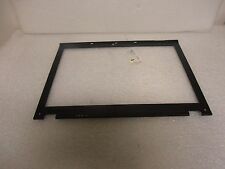 1 IBM Lenovo ThinkPad T420 Complete LCD Screen. Type: LCD Screen. Form_Factor: Laptop. Also you will find all the parts that you may need for your computer, laptop from motherboards to power supplies. MPN: 93P5670 93P5671. Model: Lenovo ThinkPad X230. 1 IBM Lenovo ThinkPad X230 Complete LCD Screen. 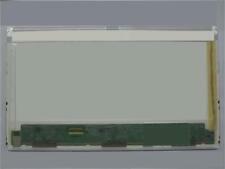 Type: LCD Screen. Form_Factor: Laptop. Also you will find all the parts that you may need for your computer, laptop from motherboards to power supplies. IBM Fru / Part # : 42X4771 44C0664. Fits IBM Lenovo Models: T500 W500 - 15.4" Base. IBM Lenovo PalmRest, TouchPad & Finger Print Reader Plastics. Lenovo KeyboardP50 00PA370 00PA288 01HW200 (IBM Original). Part # : 00PA288 01HW200 00PA370 (Backlit). Compatible Models:P50. Condition : New System Pull ( Product has been removed from NEW-OEM surplus system that has never gone into service. ). MPN: 93P5692 93P5693. Model: Lenovo ThinkPad T420s. 1 IBM Lenovo ThinkPad T420s Complete LCD Screen. Type: LCD Screen. Form_Factor: Laptop. Also you will find all the parts that you may need for your computer, laptop from motherboards to power supplies. This policy ensures that everyone receives proper recognition and makes the process easier and smoother for both parties. As always, do your own research before purchasing this item. Condition:NEW SYSTEM PULL : Product has been removed from NEW-OEM surplus system that has never gone into service. 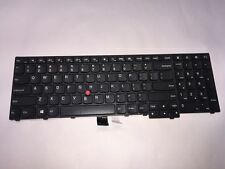 Lenovo Thinkpad 00PA452, 00PA534 backlit Keyboard (Lenovo Original) Condition : New System Pull (Product has been removed from NEW-OEM surplus system that has never gone into service. Not in original box.) Compatible Models : 00PA452, 00PA534 (Backlit). KEYBOARDS PULLED FROM TESTED UNITS. KINDNESS TALKS AND RUDENESS WALKS. If you are having a problem with an item. Every item, unless noted, is sold "AS IS" and has no. It is important to check your old screen type. 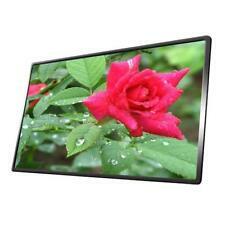 This item is LED Backlight screen. Screen Information. 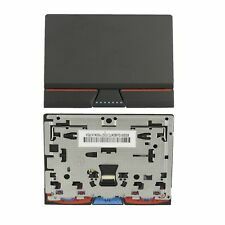 New/Orig Lenovo Thinkpad X240 FHD Lcd touch Screen Assembly. It is important to check your old screen type. 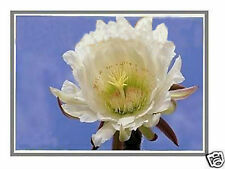 This item is LED Backlight screen. Screen Information. 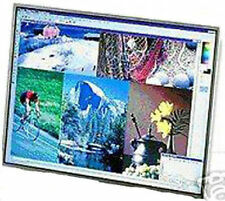 This is a tested working, used, clean, IBM Boe Hydis 14.1" 1024x768 XGA Matte TFT CCFL LCD Display Panel/Screen. Thinkpad T43. Thinkpad R52. Thinkpad R51. Thinkpad T60. Thinkpad R50. CCFL, Horizontal-Lamp Type. Model: Lenovo ThinkPad X220 Tablet. Other_Infos: Complete, W/ Hinges. Type: LCD Screen. This fee will be collected upfront before work on the order begins. What does the Warranty Cover?. Monitor Parts. Lenovo Thinkpad 00PA534 backlit Keyboard (Lenovo Original). Compatible Models : 00PA534 (Backlit). Condition : New System Pull ( Product has been removed from NEW-OEM surplus system that has never gone into service. ). Trending at $53.85eBay determines this price through a machine learned model of the product's sale prices within the last 90 days. IBM Keyboard L470 Non Backlit 01EN468 (IBM Original). Compatible Models: L470. Condition : New System Pull ( Product has been removed from NEW-OEM surplus system that has never gone into service. Not in original box.). 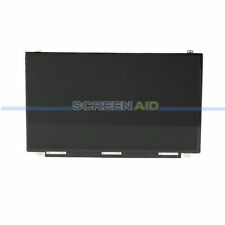 IBM LCD 14.1 TFT (LG) TP R40/R32. IBM ThinkPad X270 (type 20HM ,20HN )Backlit Keyboard (IBM Original). Compatible PART #S : 01EN586 01EP062 (Backlit). Condition : New System Pull ( Product has been removed from NEW-OEM surplus system that has never gone into service. ). Lenovo Thinkpad 00PA452 backlit Keyboard (Lenovo Original). Compatible Models : 00PA452 (Backlit). Condition : New System Pull ( Product has been removed from NEW-OEM surplus system that has never gone into service. ). 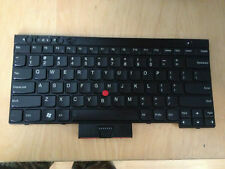 Lenovo ThinkPad 00HN000 00HN037 00HN074 Keyboard (Lenovo Original). Compatible Models: 00HN000 00HN037 00HN074. Condition : New System Pull ( Product has been removed from NEW-OEM surplus system that has never gone into service. ). Lenovo Thinkpad 01YR088 backlit Keyboard (Lenovo Original). Compatible Models : 01YR088 (Backlit). Condition : New System Pull ( Product has been removed from NEW-OEM surplus system that has never gone into service. ).